Can you believe it? We are working already on block 11 of our mutual Zen Chic Block of the Month sew along. It’s a block which gets it accuracy again by paper piecing. First, print out the paper piecing template. Make sure you check "actual size" on the printer dialog and measure the 1" proof square to double check the right size. Then glue the sheets together. Cut out all single segments from the paper template. We have also already worked on paper piecing with block 5 and Block 8, where you can find step-by-step instructions for this method. Work through each single paper piecing segment and join fabrics in numerical order. Lay out all single segments as shown in the pattern diagram. Then join segments with 1/4” seam allowance. 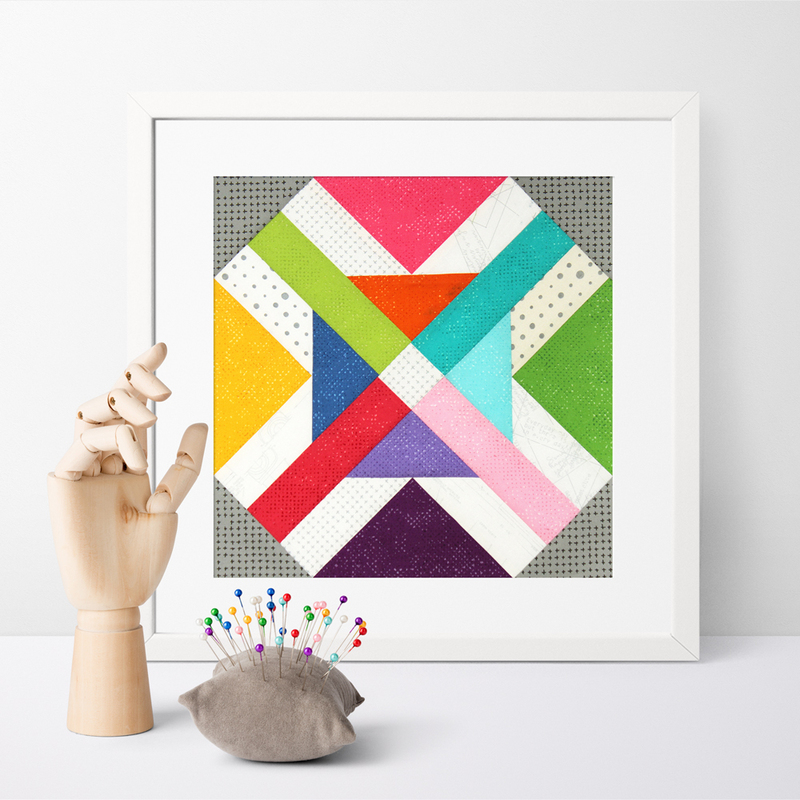 Have fun sewing block #11 and share your results with the other quilters of our Zen Chic BOM sew along using our hashtag #SPOTTEDMOREPAPER on instagram and our facebookgroup.